Inspired by Ecology: To Twitch or not to twitch – that IS a question! To Twitch or not to twitch – that IS a question! Not long ago, a rare bird from the far east, a Dusky Thrush turned up in East Kent. This was the first time this species had been available in Britain to be seen by potential admirers since 1960. On this occasion, it attracted about a thousand people during the day after it had been announced the previous evening just before midnight. In fact, it was my wife who told me of it, as she saw it mentioned on Twitter. One of the few who had seen it in 1960, told a friend that in those days, he had been informed of it by a friend in a letter. It seems the great Ron Johns who had the longest list for many years was also informed of the same Dusky Thrush by letter, and in fact the two of them went together by train the very next day. How communications have changed since then! In the event, on this 2013 occasion, the bird remained for just one day after it had been announced. My experience of it started in a fairly leisurely way with a cup of coffee at a sociable hour in the morning. I consulted Bird Alert to find that the bird was indeed showing quite well, so after finishing my coffee, I got up and then left for East Kent at around ten thirty. How different this was to how I would have been in the early days of my twitching when North Yorkshire, or even Northumberland would have been considered, and I would have left at 3 o’clock in the morning! In the event, I arrived at the site at around midday. The latest news was that it was quite easy to see the bird, but that it was sitting in fairly dense cover where it had been for an hour or two. Being in dense cover, it had to be viewed in small pieces at a time, that is a tail, followed by a beak, and then a wing if one was lucky. As I entered the site, there was a stir. The bird was now flying from tree top to tree top. In fact, it flew from a fairly dense piece of canopy to an ash tree immediately above me with sparse foliage. I enjoyed quite excellent views. It then flew off to a dense area of canopy, and an hour later it had still not been seen again, so I left. A friend of mine could not go until much later. 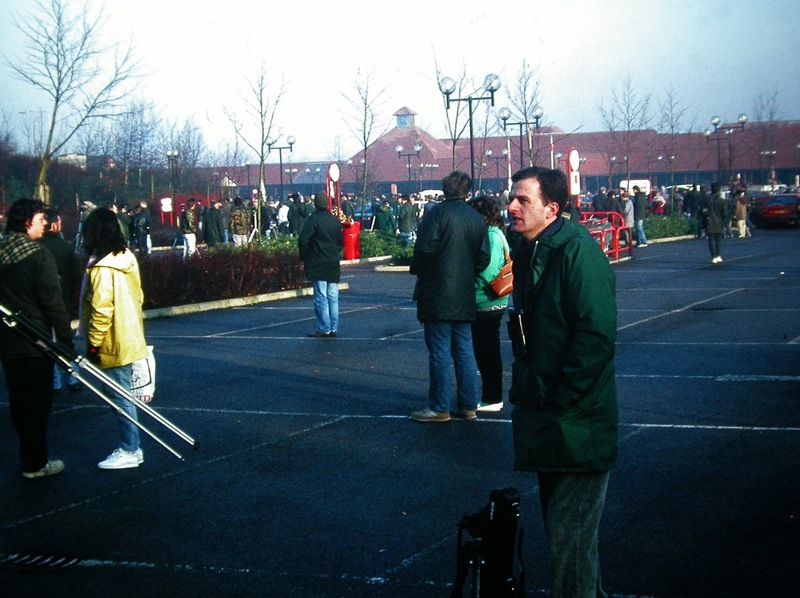 He arrived not far before dusk when there were perhaps twenty people left. He had wonderful views of the bird on the ground where it enjoyed several fat worms. Later, it was suggested that perhaps with all its admirers, the bird was finding it hard to feed. This was perhaps underlined by the fact that overnight, it disappeared. Birds have wings, and the fact that this particular one had flown all the way from the far east suggests that if it were unhappy, it could easily put several miles between itself and its would be admirers. However, Margate cemetery was an ideal site for it with a considerable amount of tree cover, with lawns where it could feed. There is a chance that the reason it left was disturbance, and that is sad. 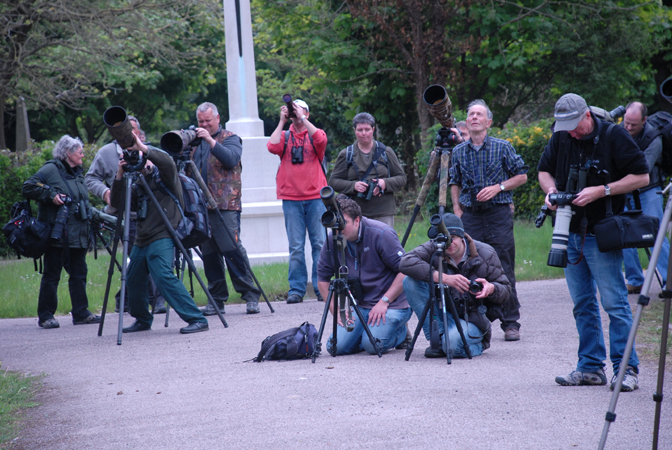 I’m afraid there are twitchers who do not give consideration for a rare bird’s welfare and this is not good. Recently, my book “Scilly Birding – Joining the Madding Crowd” has been published. In it, I describe the antics of a considerable crowd that chased backwards and forwards along cliffs on St Mary’s after a very attractive male Rock Thrush. As soon as the first desperate birders appeared, the bird immediately put a quarter of a mile between itself and its would be admirers once again. On another occasion, not described in the book, a completely exhausted Grey-cheeked Thrush was found, and surrounded within feet by birders. It tried desperately, and pathetically to fly out of its imprisonment over the surrounding heads. This was not a twitchers’ finest hour, and I felt sickened and I walked away. Thoughts like those above set me about trying to think positively about twitching. 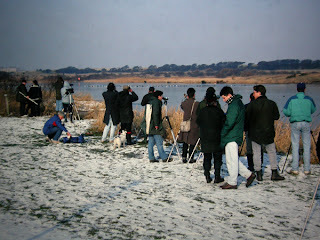 Although there are twitchers who simply wish to add new names to their lists, most are either naturalists or potential naturalists. 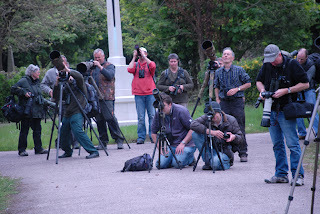 I well remember meeting up with a well-known group of fanatical birders in the summer, a time of quiet for rare birds, who were enjoying butterflies in a well known Oxfordshire site. In fact, I was able to show them a very rare butterfly, a Black Hairstreak, in my telescope. Many start their interest in natural history through twitching, and with the current lack of sympathy for the countryside shown by our present government, everyone interested and concerned about natural history should be treated like gold dust. 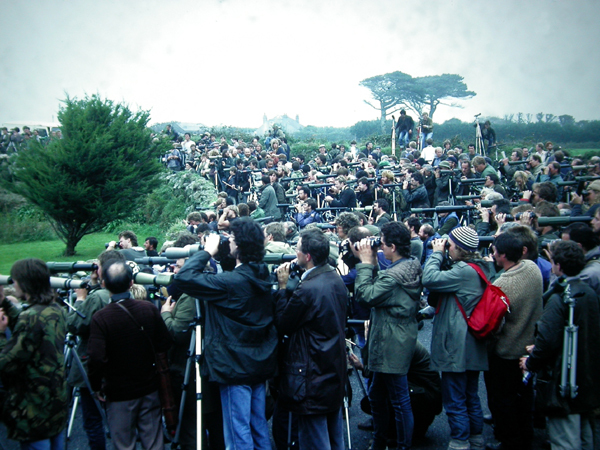 The thing about twitching birds is that during a lifetime, the potential to see well over a hundred rare visitors to Britain is quite possible. The same cannot be said for any other group. Admittedly vagrant butterflies and moths do visit this country, but the potential for adding to a life list by twitching new species is very reduced; after all few of them hang about. It was thoughts about my own experience with lichens that led me to think about the evolution of the interest in a group that naturalists experience. 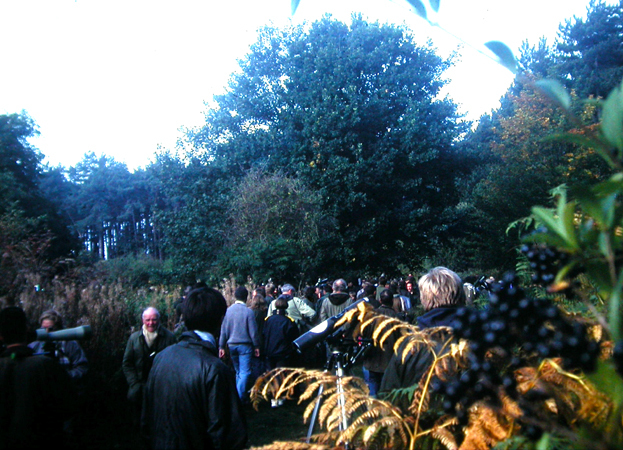 In the early 1970s, I had the very great privilege of being shown lichens in the New Forest by the late and great Dr Francis Rose. During my first day with him, he showed me over a hundred common species. I collected small pieces and over the next six months or so, I examined them, and added to my knowledge of the common lichen flora. After twelve months, I was ready to go with him to north western Scotland to see and enjoy the fabulous richness of the lichen flora in the Atlantic oak woodlands there. After a year, I was still able to add large numbers of species to my life list, and also to that invaluable vocabulary that enables me to be a competent ecologist. The experience of exploring this group of organisms was thrilling. However, after two or three years, the number of new species I could add to my knowledge was diminishing. I was entering another phase, a phase that included trips such as that to a cliff top on Tresco (Isles of SCilly) where lichen species in their only British site could be seen. The British Flora of lichens and lichenicolous fungi totals around two thousand, give or take a hundred or so. My British total stands at 1146 with another 53 lichenicolous fungi. Adding a new British species to my list is now a very occasional event. A few years ago, I joined a group of British lichenologists to go on an expedition to Newfoundland. I am sure that for most of us, the key aim was to see and experience Erioderma pedicellatum. This is one of the world’s rarest lichens occurring on a few trees in Norway outside the New World. Recently it has also been found in Kamchatka, but its population centre is Eastern Canada where it is nevertheless, very rare indeed. It is also a beautiful species, being blue, foliose and supporting reddish brown fruits. In the restricted area in which it occurred for us to see, it was present on a dozen trees or so in a confined area. In the same area, growing on a single tree were two examples of the even rarer Erioderma molissima. Members of the American equivalent of the British Lichen Society, the Tuckermann Society headed off into the countryside for eight miles to see another site for Erioderma molissima. This was surely extreme lichen twitching. and the experience of these two Erioderma species gave me an enormous buzz. During my years as a naturalist, as well as birds: an interest in flowering plants, lichens, bryophytes, moths and butterflies, dragonflies, grasshoppers and crickets has gone so far as to mean they have all reached the stage where, in order to see new species, I would probably need to twitch known sites. My list of beetles, hymenoptera and diptera – perhaps excluding the hoverflies - is hardly started, so I have still so much left to enjoy of the natural world. It is also my firm opinion that without an exhaustive, in-depth knowledge of the species, both plants and animals, that make up the life on our planet, we cannot advise on or help with its welfare as ecologists. Having admitted to twitching the Dusky Thrush, I have to say I would far rather have seen it along with other examples in the far east behaving more naturally. However, I am not a wealthy man, and for many practical reasons, experiencing the bird fauna of the far east is not available to me. Had the bird been a very occasional example of a species in Britain that I had seen in America, for instance, I doubt if it would have caused more than the slightest hint of a need to go and see it in me.